Specially blended items to evoke those holiday memories. 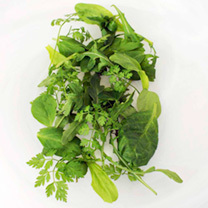 Includes Rocket, Cress, Dandelion and Chervil. Easy to grow cut and come again salad.